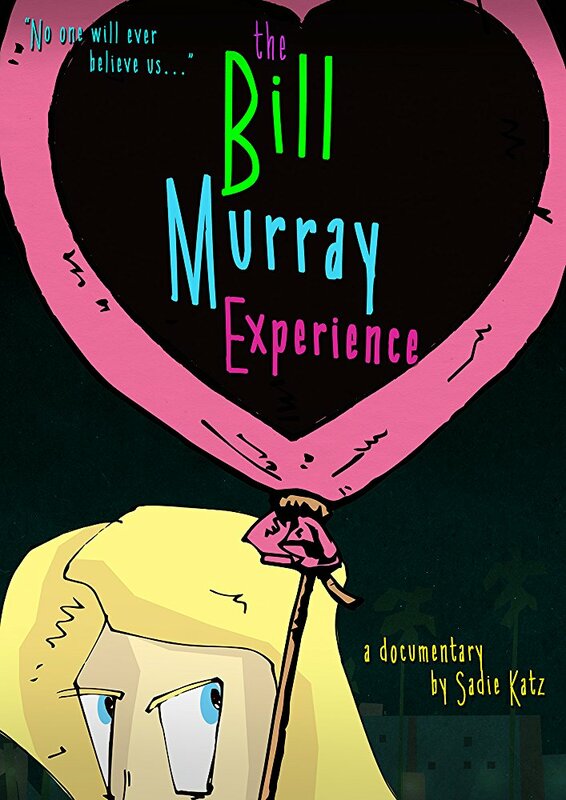 The Bill Murray Experience (2017), directed and starring Sadie Katz, is a multi-faceted documentary that explores the director's journey to have her very own Bill Murray experience with the famous comedic Hollywood actor, a man that she idealizes, whose public antics are cemented in the public imagination and which have contributed to his mythic status. The narrative of finding Bill Murray is juxtaposed against her trials and tribulations to meet the reclusive actor, aspects of her backstory, and the cult fascination with Bill Murray, which moves the narrative and creates dramatic tension. Katz weaves together many visual elements to create an insightful documentary exploring the love affair she and his fans share for the actor. Katz uses interstitial titles to structure the film. The film includes many amusing animated scenes recounting many instances of the phenomenon of the Bill Murray experience, and her own experiences, thoughts and ideas to have her own experience which frame the film and contextualizes her fixation within a broader context. The film includes interviews with many of his devoted fans, his brother Joel Murray, an actor too, and his co-star P.J. Soles from the movie Stripes, archival footage, social media clips, stills, and voice-over. Close ups and medium angles shots are interspersed with wide angle shots, and the film incorporates both day and night and interior and exterior footage shot over an extended period of time at multiple locations. A stalker, she is not, although, her obsession to have a Bill Murray experience borders on the pathological. Be that as it may, I don't doubt her sincerity and motivation. What's so intriguing about the documentary is the sub-text given Katz’s backstory. 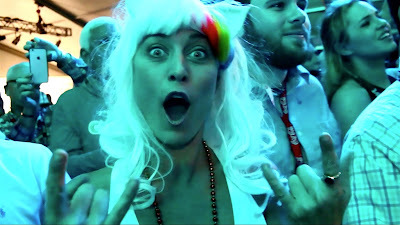 Katz, herself, is a talented Hollywood writer and actor with numerous film credits to her name who embarks on an insane journey to meet the legendary actor, and to document it. You may be guessing: has she lost her mind? Had she considered therapy rather than making a documentary? Anyway, you be the judge. But, then again, I am not surprised that she would follow her bliss given that American society is a culture where life, liberty and the pursuit of happiness is a celebrated concept and an integral core part of its cultural fabric. Nevertheless, as the subject of her film, she tells it in a whimsical, heartfelt and tongue-in-cheek way that gives the film a depth and complexity. The Bill Murray Experience is a well-crafted personal documentary with a twist. It is a must for anyone who wants to understand the social phenomenon of The Bill Murray Experience. Besides exploring a fascinating topic, the film is a labor of love to a beloved actor which many of his fans will appreciate, although, I am left wondering if the actor himself would deign to watch it. I am reserving my judgement. But more importantly, it's an intimate portrait of a quirky, talented actress who flexed her creative muscles and put herself out there to make a fascinating documentary about her passion to have a Bill Murray experience, and to share it with us, warts and all.